Sign up for our Newsletter to receive notifications about special offers and new products from OnBike! ____ Receive the latest news & offers! 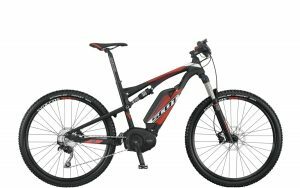 The Scott E-Spark 720 Full Suspension ebike delivers an amazing experience. VAT No. 943 1901 33. Electric Bike Conversion Kit – is it the Answer? Comments Off on Electric Bike Conversion Kit – is it the Answer? E-Mountain Bike: Why Buy One? Comments Off on E-Mountain Bike: Why Buy One?